Hello my fitness friends. I have not forgotten you. While I work on another post about hormones, I wanted to post something about getting lean. Nutrition is crucial to having a healthy body and getting lean. There is another component that people can overlook, resistance training. Disclaimer: Talk to your doctor before starting a training program. I was hesitant to start circuit training. I have a naturally muscular build and felt like weight lifting would cause me to bulk up. I had a trainer before who had me on a program, and I hated the way I looked when it was over. So, after that I decided I never wanted to lift weights again. Here are some things I learned. 1. Get the right trainer. Tell them what your goals are. If you are not interested in becoming Mr. or Mrs. Olympia, let them know. There are different programs for people with different goals. 2. 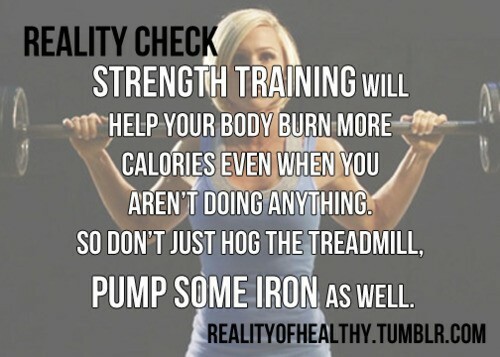 Add cardio and weights to your routine. If you have layers of padding 🙂 then your muscles will not be easily seen. Resistance training is great because the muscles you build burn more calories than the body fat you have. 3. Be patient. Depending on the amount of muscle mass you have and strength, it will take time for you to see results. 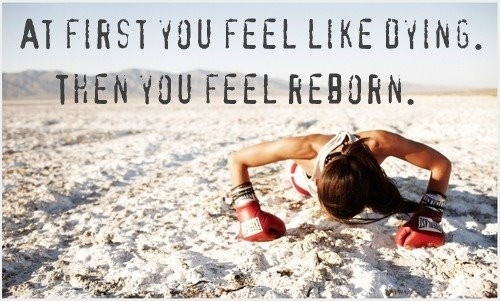 Give yourself 4 to 6 weeks to see changes. Keep going. It’s not a sprint, it’s a long distance run. 4. Rest and Switch it Up. Muscles need time to recover. Try to switch it up; alternate muscle groups. Monday, Friday, Sunday (Back side of the body: glutes, hamstrings, calves, back, and biceps). Anytime you work the back you are working biceps. Tuesday, Thursday, Saturday (Front side of the body: Quads, abs, chest, shoulders, and triceps). Cardio 2 -3 days a week. Rest day Wednesday. Before you cringe at the example I gave you, these sessions are no longer than 35-45 minutes long. 5. Every 4-6 weeks challenge your body in new ways. If you do the same circuits over and over with the same amount of resistance, you won’t see improved results. Our bodies are smart and they adapt. Once they adapt, they use less energy to do the same exercises. It can be as simple as increased reps, adding a few more pounds, adding new exercises…. 6. Stretch it out. Many people forget how important stretching is to their routine. Stretching decreases your risk of injury. So warm up, cool down, and make sure you are stretching before and after your workouts. 8. Diet is important. Training is great. If you are not eating well, your body will show it. Choose whole foods, lean protein, fruits, vegetables, and tons of water. 9. Muscles help protect your bones and keep you young. There is something to be said for a muscular body versus a fleshy soft one. I am not saying you need to be a literal brick house, but muscle ages better than fat or a body that is not toned. My dad works out and he looks great. He looks much better than other men his age who don’t workout. He is healthier and has more energy. So dear friends, if your doctors approve, don’t bypass resistance training. And you don’t always need extra weight. Your body weight is often sufficient or exercise bands. Do some research on workouts you can do safely at home. Make sure you are doing proper form and not trying to be a super hero at first. You don’t want to hurt yourself. Keep up the good work and enjoy the rest of your week. xoxo Erin. I like number 7! All too often do I hear from girls “I don’t wanna bulk up” when a little muscle tone is all they would need for the changes they are looking for in their bodies. Thanks for sharing! Thanks for stopping by and posting a comment. I am glad I went back to the weights. My body shape has changed and I look better!